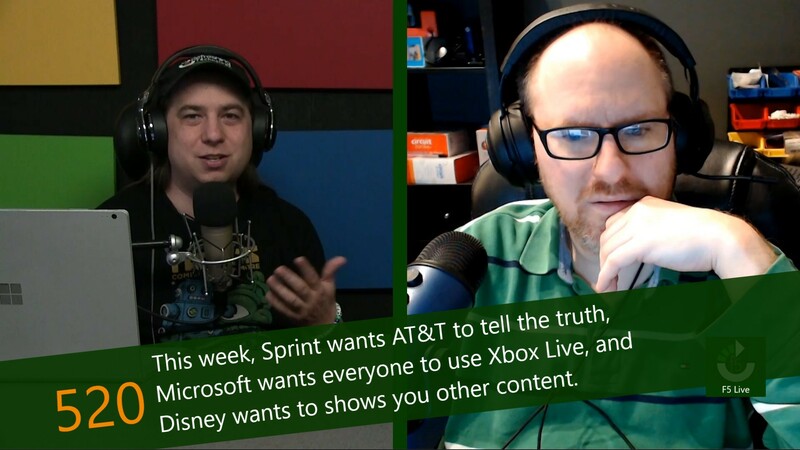 This week, Sprint wants AT&T to tell the truth, Microsoft wants everyone to use Xbox Live, and Disney wants to shows you other content. Any time there is a major transition in the wireless industry, at least one of the big players loses their grip on reality. During the 3G to 4G transition in 2010, it was T-Mobile who was all over the place. First, they claimed 4G didn't matter to them or customers, but then a month later they began lying about 4G, claiming that HSPA+, part of the 3G standard, was actually a 4G network, which we dubbed FauxG. By the time anything came of the false advertising and consumer deception, the company had used the money from AT&T's failed acquisition to build a 4G LTE network. When Xbox Live first hit the market, it changed the way people played videogames forever. Over the years, the service introduced a whole collection of features, including in-game and cross-game chat, social networking features, a unified matchmaking platform, achievements, and more. With the introduction of Windows 8 and Windows Phone 8, Xbox Live features expanded from the console to PC and mobile. Even games like Microsoft Solitare, which has been around since the beginning of Windows, had the ability to enhance with achievements. Since Disney first started talking about streaming services, it has been assumed that there would be one of more Disney-owned platforms designed to stream Disney-owned content. At once point, there was rumor of as many as three services, with one being designated for each of the major segments of the company's content: Disney, Marvel, and Lucas. Over time, the offering has been narrowed down to a single service that would house all of Disney's content under one roof.